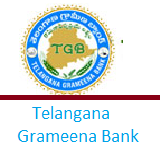 Telangana Grameena Bank has released the Final (Interview) results of it's Officer JMGS-I Recruitment 2015. Earlier, the bank has conducted written test in Sep/Oct 2015. Based on the written results the bank conducted interviews for Officer Scale1 from 25th may 2015 to 10th june 2015 & 03rd august 2015 to 22th august 2015. Based on the performance in these interviews, the bank has released the list of 155 candidates selected as Officer Scale -1.